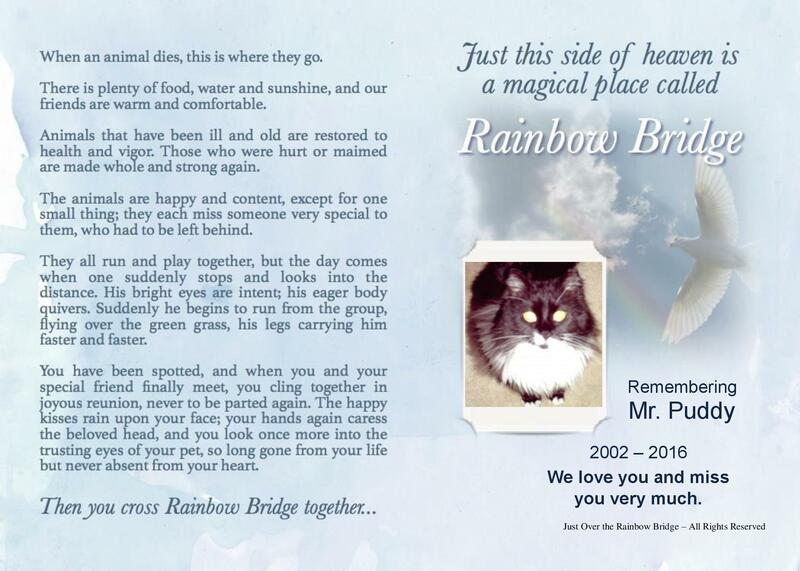 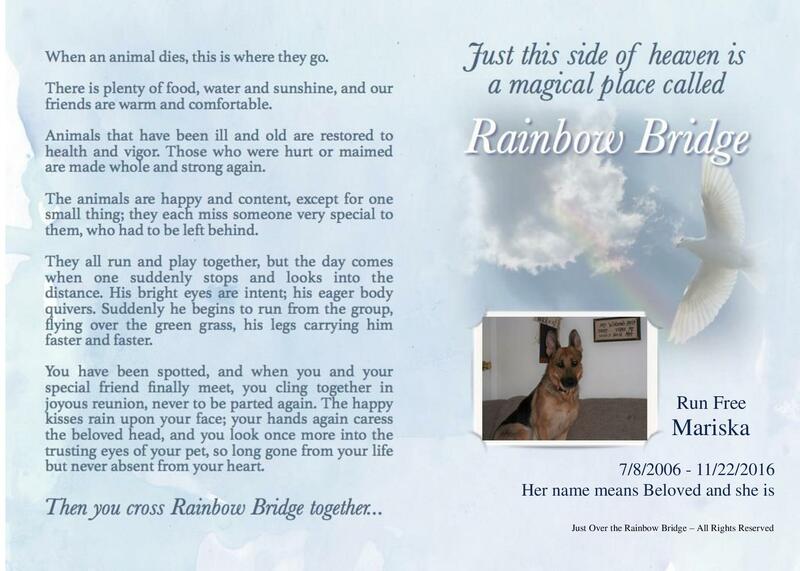 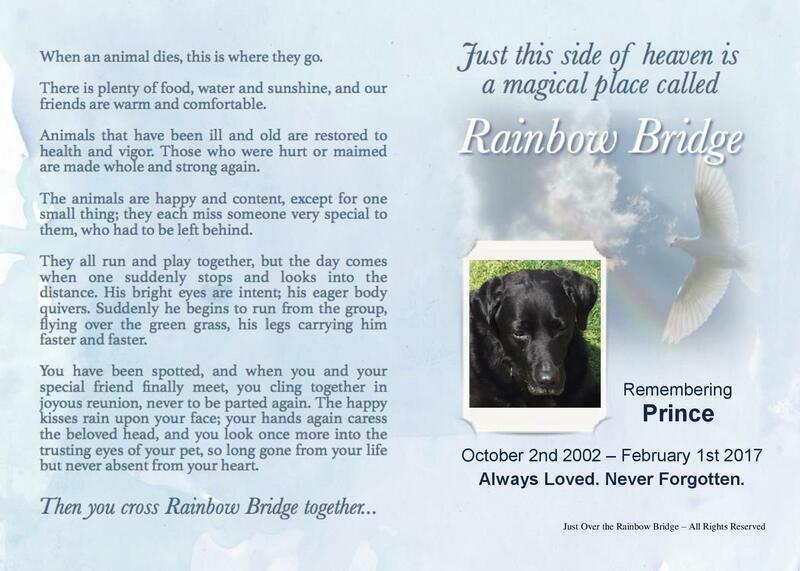 Order this very special personalized rainbow bridge poem. 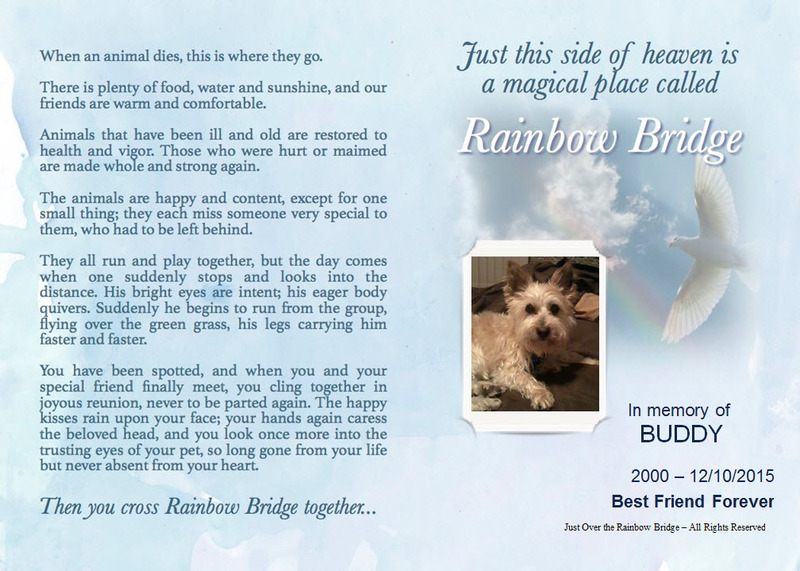 It makes a thoughtful well-appreciated sympathy gift, or order one for your own beloved pet as a beautiful keepsake memorial. 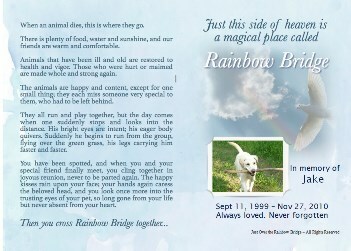 Includes your pet's photo and personalized wording, this digital poem is forwarded to you ready to print. 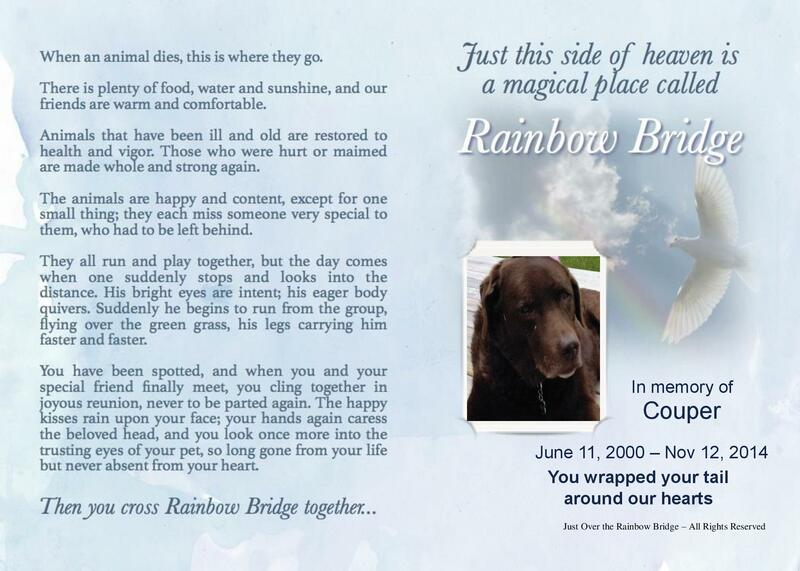 Print extras for family, friends or to share at your pet's memorial.